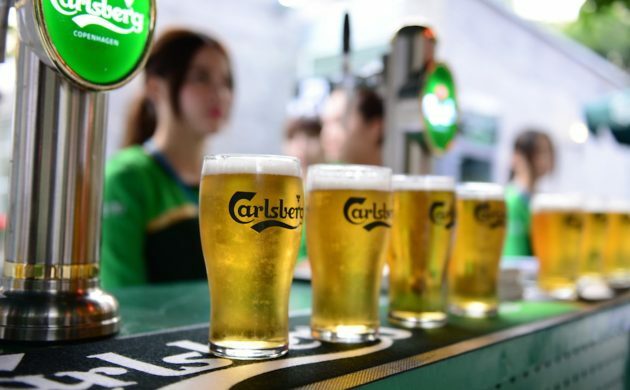 Accounts released by brewery concern Carlsberg on Wednesday show a healthy increase on the bottom line. Much of this can be laid at the door of the Asian market: the brewery sold for over 1.5 billion kroner more in Asia in 2018 than the previous year. Sales were especially buoyant in India and China. In China, there was a 15 percent increase in turnover and in India things were even better at 19 percent. Sales were also up in Western Europe, although not as much as in Asia. Carlsberg’s consolidated profits (a term that covers all the companies in their portfolio) rose from just over 2 billion kroner to 6.1 billion kroner. In terms of the companies typically associated with Carlsberg, adjusted results show profits for 2018 of 5.3 billion kroner. Danske Bank has revealed that it is being charged with laundering 21.6 million euros (around 161.2 million kroner) in France, according to an information release through the Danish stock exchange Fondsbørsen. The bank will have to set aside 10.8 million euros as caution money. According to Danske Bank’s own estimates, around 1,500 billion kroner has been laundered – primarily through a branch in Estonia. For the second year in a row, Nordea delivered a disappointing set of accounts showing shrinking profits, reports TV2 Nyheder. The Nordic banking conglomerate earned around 23 billion kroner in 2018 – a small increase compared to the year before. Actual banking activities brought in 5 percent less than the previous year, at 9 billion kroner. Among other things the drop was blamed on income from interest falling by 7 percent. Accounts posted yesterday by the Danish global transport and logistics firm DSV reveal that the company expects to come out of 2018 with both increased profits and solid growth, reports Finans. DSV increased its profits by more than 4 percent on 2017, making 79 billion kroner. Results for the company’s primary activities ended at almost 5.5 billion kroner, an increase of 15 percent on the previous year. However, although Q4 profits exceeded expectations, analysts found the overall profits a little disappointing. Wind turbine company Vestas saw its profits fall around 24 percent during 2018 to approximately 5 billion kroner. These are the lowest profits the company has made since 2014, reports TV2 Nyheder. The company blames the fall on lower prices for wind turbines. Looking forward, Vestas expects turnover to increase in 2019 and in concrete terms, estimates a turnover of between 80-91 million kroner. A hard year on the financial markets that included interest rate hikes in the US has cost pension company ATP dearly, according to the newly-released company accounts. The figures reveal ATP lost 3.7 billion kroner on its investments during 2018. It was especially hard-hit during the last couple of months of the year when the financial markets were sluggish. On top of market pressures, ATP has been hit by the fact that Danes are living longer, so more money has to be set aside to pay out pensions. In a press release the company called the result “unsatisfactory”. Health and beauty chain Matas had a particularly good patch in Q3 that included Black Friday and the Christmas sales of December, according to accounts recently released by the company. From October 1 to December 31 turnover in the concern was 1,092.6 million kroner compared to 1,074.8 million for the same period in 2017, reports Børsen. That represents an increase of 1.7 percent. On the other hand, pre-tax profits were lower: 206 million compared to 227 million for the same period last year. Jewellery concern Pandora is going to have to tighten its belt to the tune of 1.2 billion after disappointing figures for 2018. For the first time in five years, the company showed no growth, reports TV2 Nyheder. This has led to a savings exercise being launched to realise 1.2 billion during 2019 – on top of the 350 million kroner savings already announced. In addition, a major restructuring of the firm estimated to cost 2.5 billion kroner over the next two years is being undertaken. Pandora expects to spend the first 1.5 billion kroner during 2019. Profits in 2018 were 22.8 billion kroner – at the same level as the year before but far from the high growth-rates of previous years.